“Your home is always so peaceful and calm”. I laughed when he said it because the kids had been screaming ten minutes before The Mister and His Mate walked in. But when I stopped laughing for a moment and looked around my home, soaking up the feel of it, I realised he was right. Somehow over the last year these four walls had become a haven of calm in a never-endingly busy world (tantrums notwithstanding). How had this happened? But it was more than that. Simpler than that. It was a changing of the culture of our home that has brought this feeling of calm, of quiet purpose, of peace. And as luck would have it, they were changes anyone can make regardless of budget or whether you are owning or renting. No renos required. Ok so we have a tv. We even watch it *gasp*. We just don’t watch a lot of it and we very rarely watch it during the day anymore. Actually we rarely watch tv at all on weekdays. Movie night has become something to look forward to. This is the number one change we have made that completely altered the feel of our home. It’s astonishing how noisy it feels even having it on quietly in the background now. It puts me on edge. We do often have calming music on low instead but it is always something relaxing and unobtrusive. It’s amazing how much STUFF we can accumulate over the years. Pointless, expensive, takes-up-too-much-space stuff. Trust me- you will feel better and your home will feel calmer if you declutter. One of my favourite things about my home is the feeling of space and airiness. That all comes down to less stuff. Jumping off the consumer bandwagon isn’t just good for the sense of calm it can bring to your home. It will save you $$$. It will also minimise your carbon footprint because less stuff equals less landfill, and less resources used in manufacturing things we really don’t need. As for caring for your home, a daily rhythm will help you stay on top of chores without it feeling overwhelming. My home always starts to feel chaotic if I’ve strayed from our rhythm for more than a day. 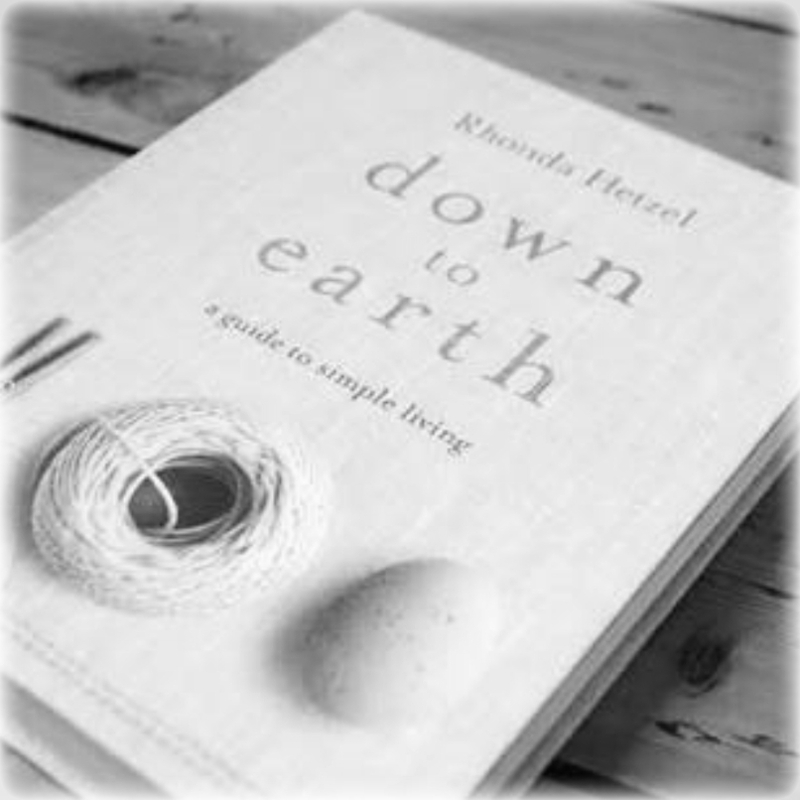 Rhonda Hetzel of ‘Down to Earth’ fame talks about the acceptance of housework as an everyday part of life being a mindset change, and that was a light bulb moment for me. Instead of wasting our energy resenting the time and effort it takes, we can instead incorporate housework into our daily rhythm. 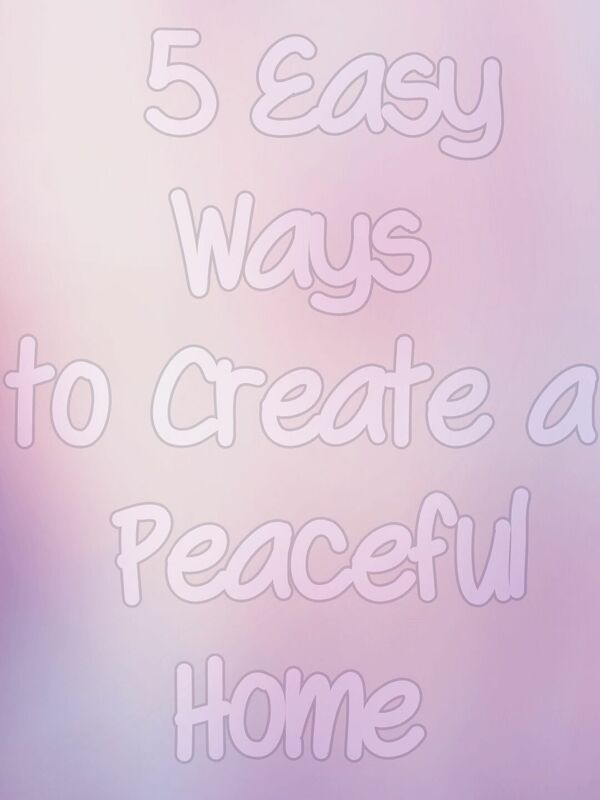 We can take pleasure in a job well done and enjoy the resulting peace in our home. A rhythm to our days, our weeks, the seasons, brings a sense of peace and purposefulness all of its own. 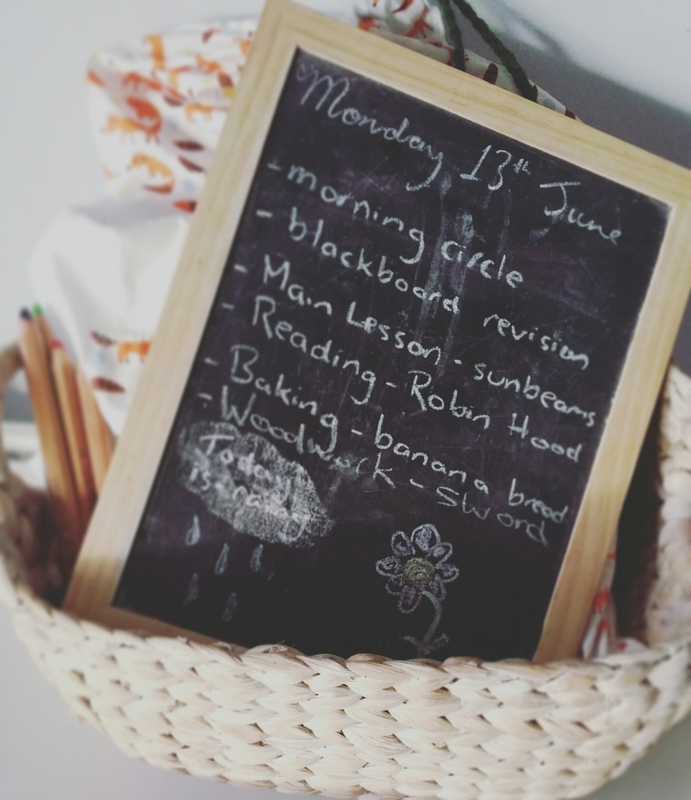 This one has taken a bit of trial and error to find what works for us, and will certainly look different depending on the style of homeschool you subscribe to. For us moving our formal activities into the kitchen, into the heart of our home, has meant that mama gets more done in a day. And that certainly helps. It has also necessitated a change in the way we organise our materials. A pretty basket is the lynch pin of our system. I’ll chat more about the specifics of our bags and baskets another day, but the important part to note is that having a system keeps us neat and tidy, and most of all, organised. Chaos feels…well, chaotic. Organisation feels calm. For those who don’t homeschool, the same principle applies to books and toys. Reduce the volume, organise what you have and display attractively. You’ll see more use, more respect for belongings, and won’t feel overwhelmed by ‘kid things’ taking over your home. Forgetting how delicious a made-from-scratch dinner smells, what is just as important is what our home DOESN’T smell like. It doesn’t smell like harsh cleaning chemicals or synthetic fragrances. We make most of our own cleaning products now. It’s cheaper and the smell isn’t stuck in your nostrils for days. Our children draw with beeswax crayons, and warm beeswax on the windowsill and in their soft hands to model with (think playdough for big kids, but better). 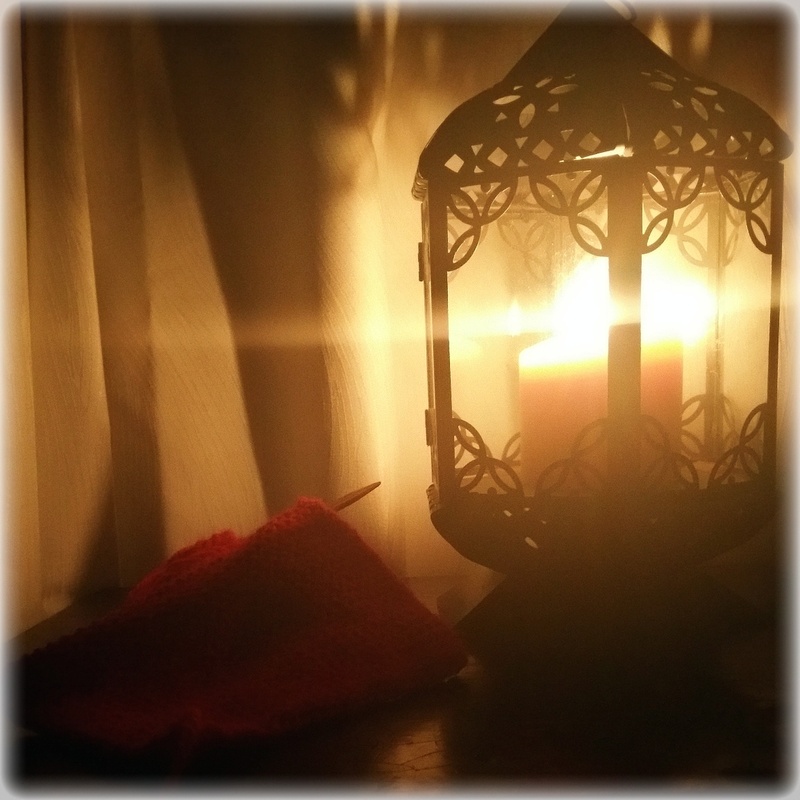 We burn beeswax candles instead of turning on lights in the evening. Bunches of cut flowers from the Farmer’s Market fill vases on the kitchen bench. Herbs hang to dry in the sunroom windows. Fresh air streams in through gauzy curtains and wide open windows. The home smells fresh and alive. Maybe I should have put this one straight after ‘No T.V.’ because this is what has filled the space. Before, there never seemed to be enough time. Time to relax or time for hobbies. Often there didn’t even seem enough time for chores. While the chores are still there, there is now a whole lot of time that we didn’t have before. Those hours we spent watching T.V. are now spent playing games, gardening, reading, baking together, preserving food and taking up crafts. The home hums along to the steady ryhthm of these activities. The dishes in the morning, the knitting in the evening. And that’s the key, I think. The rhythm of the home. 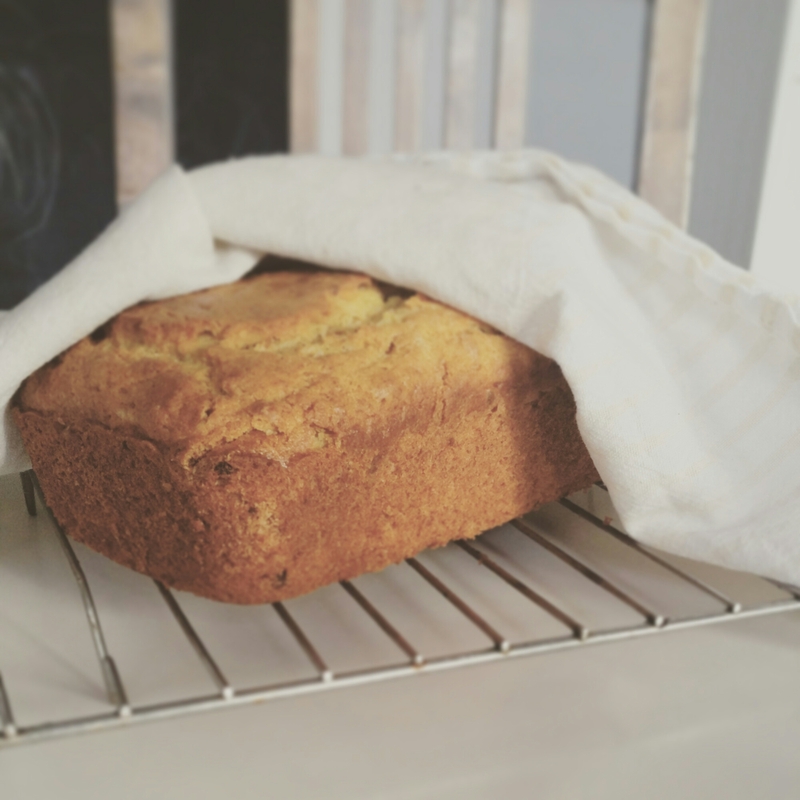 Homesteading and homeschooling together have given us new rhythms and a new raison d’être. I love this post, I definitely need to reassess a few points. Thank you for this beautifully written reminder. This post came at the right time. Just finished cleaning a bit in the kitchen. Looking up the book you suggested now as well. Thanks as always. Your home sounds like a beautiful (and indeed peaceful) place! Love this! Getting rid of the TV is a huge thing for me. I’ve come to realize that perhaps I have a little of the Sensory Processing Disorder than my son has – TV is a huge problem for me when it’s on. I can’t focus on anything else and it sets me on edge. We could use more calm in our house, of course, but no TV in the main area helps a lot. Love this post. Must look up that book. We are slowly moving out of the boathouse workshop and in to our forever home. I am only moving things we need and use. It’s amazing what stuff hasn’t moves. Simplicity is definitely the name of the game. BOOK STACK My favourite book in a long time. My first DNF of the year. Can you guess which was which? Some I loved. Some I didn't. Some new and interesting ideas. The first half of February was definitely a mixed bag both for reading and for life in general. We had a crazy weekend. 3 birthday parties in 2 days, putting up the 2nd Christmas tree, shopping... Today we are all in need of a little calm so I'm being mindful about finding moments of softness and light. 🕯 Candlelight, soft breezes and china teacups are the themes of the day. And how pretty are these Christmas tree cones?! I bought these about 8 years ago and love pulling them out every year. 🕯 What is the theme of your day?